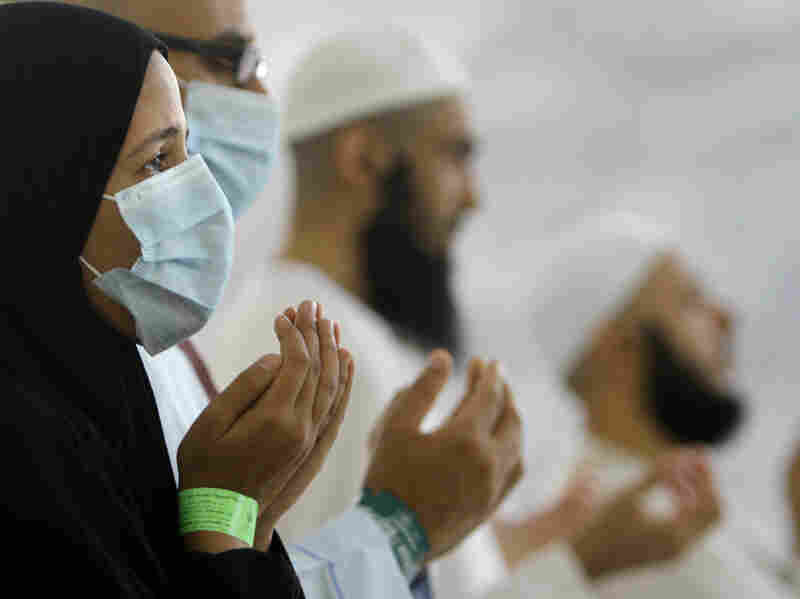 Sharp Rise In MERS Cases May Mean The Virus Is Evolving : Shots - Health News A rash of infections in Saudi Arabia could be a warning signal that the deadly virus has reached a tipping point and is ready to spread out of the Middle East, scientists worry. A medical worker stands outside the emergency room of King Fahd Hospital, in Jeddah, Saudi Arabia, April 9. Authorities closed the ER department after two health workers at the hospital caught the Middle East Respiratory Syndrome. There's growing concern that the Middle East Respiratory Syndrome may have entered a new phase in the way it's spreading in Saudi Arabia. The country has reported a sharp uptick in MERS cases over the past week. Since the deadly respiratory virus was first detected in September 2012, a total of 244 cases have been found in Saudi Arabia. About 50 of those cases were reported in the past six days. An Egyptian Muslim prays during a ritual in Mina, Saudi Arabia, October 2013. Some people wore masks during the hajj pilgrimage last year to protect against the Middle East Respiratory Syndrome. Neighboring United Arab Emirates has also reported a rise in cases in the past week. Amid the flurry of new infections, the Saudi government said Monday it had removed the country's health minister. The spike in cases, especially among health care workers, could be a signal that the virus has reached a tipping point and could be ready to spread out of the region, says Dr. Michael Osterholm, who directs the Center for Infectious Disease Research and Policy at the University of Minnesota. "It took us over a year to get the first hundred cases of this viral infection," Osterholm tells Shots. "Now in just the last two weeks, we've had a hundred cases. ... There's a major change occurring that cannot just be attributed to better case detection. Something's happening." MERS is a viral infection that causes pneumonia-like symptoms, including a fever, cough and shortness of breath. There's neither a vaccine nor a cure for MERS. And so far, about 30 percent of people with known infections have died. The MERS virus has been hanging out in camels for more than two decades, researchers have found. Many people who caught MERS in 2012 and 2013 had worked directly with camels or had recently eaten camel meat or drunk camel milk. What's troublesome right now, Osterholm says, is that several of the new clusters of MERS cases are not among camel herders, but rather among health care workers. This could indicate that the virus is changing, he says, so that it can move more easily between people. "When humans readily transmit [a virus] to humans, that's what will cause a worldwide outbreak," Osterholm says. "We are very concerned that ... with what we've seen over the last two weeks ... we may be at that point now." 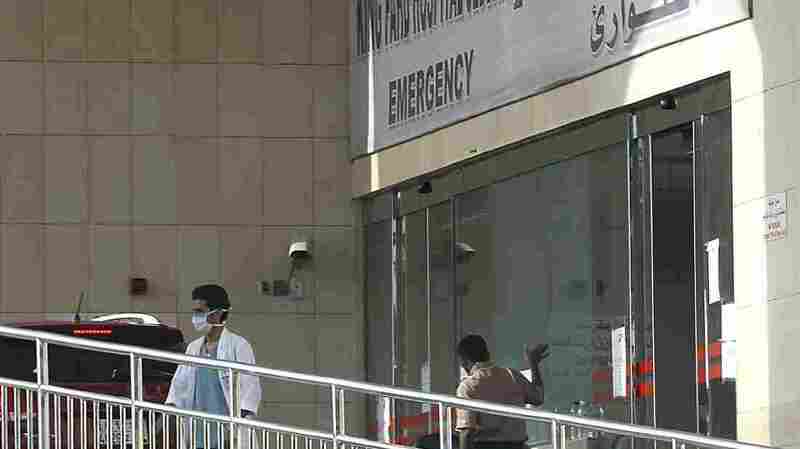 The majority of the MERS cases, so far, have been in Saudi Arabia, although the virus has also turned up in several other Middle Eastern countries. And a few travelers have brought it to the U.K. and Europe. Last week, cases were also imported into Greece and Malaysia. Saudi Arabia needs to be more aggressive in combating the problem, Osterholm says. And it needs to be more transparent about what's happening with the disease. "It's time for the world to wake up and demand that the Middle East do the kind of job that we need done to stop this transmission [of MERS]," he says, "and to protect the rest of the world."